So, what is the WSQ model? This post will describe for you the three parts: Watch, Summarize, Question. Hopefully my insights will give you specific ideas of how it played out in my classroom. But, remember, every classroom is different and I’m sure you will need to tweak the way I did things to make it work great for you. I describe the WSQ for teachers as a model for how students can interact with and process video content in order to facilitate effectively structured class time and engaging student-centered learning activities. All students are required to watch the videos on a nightly basis and take notes in their SSS notes packets that correspond to what I am writing on in the videos. I check to see that students have written down the important information I talked about the video; highlighted key information, and worked out the few problems I instructed them to try on their own before class. You can read more about my SSS packets on my FAQ page. I can’t post them publicly since they include copyrighted problems from Kuta software. If you’d like to see a copy without the sample problems, just email me to request one. It is usually evident to me who actually watched the video and who just "watched" or didn't watch at all. As I mentioned in my last "Revisited" post about the WSQ, I don't set aside class time checking their notes, but this happens throughout the class period as I have conversations with the students. They know it can be checked at any time. Remember, I always wanted to make the best use of my class time, and designating time for me to be walking around checking notes while students weren’t actively engaged in something else is what I consider a waste of time! Students usually have 4-5 videos a week. The only time they generally bring home "regular" practice homework is on the night before a Unit Test. I have chosen to keep it this way to maintain consistency. At the beginning of the year when I was just testing the waters, we would flip one lesson but not the other and the students (and myself) got confused on if they were supposed to watch a video or do regular homework. I like having consistency. However, I still have the opportunity to teach or preview a lesson before students watch the video if I see fit. I still encourage consistency, and if it's not a video all the time, I recommend having your assignment chart planned out for the whole unit in advance so students know what their next assignment is. The bad part about having them watch a video for one lesson and not another is that it really locks all students into learning at the same pace. While the majority of my students were always +/- 1 to 2 days from the "on pace" schedule, it was nice that they had some freedom to learn at their own pace and if they ever missed class they didn't fall super behind. Also, the number of videos per week really depends on your grade level and subject. In my Math Analysis class, we learned new content every day - it was a fast-paced honors course. That is a lot different than my CP Algebra 1 class, which usually would spend 2 days on a concept, or from a non-math class where the videos cover material that could be discussed over the course of a week or weeks. Videos range from 8-15 minutes long. I try to keep them short and cut them into Parts if they extend past 10 minutes. 1-1.5 minutes per grade level is my current recommendation (from Jon Bergmann). I recommend chunks of 5-7 minutes max if you can. Most videos include a "Part 1" - theory, instructions, vocabulary, introductory examples as well as a "Part 2" (and even sometimes "Part 3" or "Part 4" of additional examples for students to view). I still recommend something similar to this. If we spend more than one day on a concept, students will still watch a video each night. The first night will be more introductory, and then after we work on the concept in class, they will watch a second video that is a little more advanced. I still recommend something like this. The hard part of not doing it this way is you will have students who need that collaborative class time before approaching any of the more "advanced topics", so watching everything in Night 1 is unproductive. Or, you will have some students who watch NOTHING the first night, and come to class on the first day with zero background knowledge or content basics. They then have to watch the videos in class and miss out on the collaborative discussions and activities. Students may work ahead and watch videos ahead of schedule if needed or desired. Students may watch videos in class if they choose, and work on practice at home. This is not suggested, but is an option available. "You can work ahead but you can't fall behind" became my mantra. Students are encouraged to rewind and rewatch videos, and also to pause and try examples on their own before watching me work through it or checking their work compared to mine (see "The Power of FFW" - a great post by a colleague at flippingmath. I always try to have an example or two that I specifically ask the students to pause and try on their own, or leave a few examples for them to try at the end of the video on their own before class (of which they can watch me work out in "Part 2" of the video). I am starting to encourage students to take initiative and try problems on their own in the video before they watch me try them. See my video library on my YouTube channel. Videos are also available on SchoolTube under the same titles as the YouTube videos (you just have to search for them by name). My YouTube channel is a mess. Sorry. I haven't had time to organize it. You can find my videos at my class websites at kirchmathanalysis.blogspot.com and kirchalgebra1.blogspot.com. After watching the video, students write a summary of the important pieces of the video. Summary must be a minimum of 5 sentences long, but most are much longer. My lower-level Algebra 1 students struggle with writing complete and detailed summaries. Students are given sentence starters to help them in writing a minimum of five sentences. By the end of this school year, the majority of the summaries consisted of "guiding questions" to help the students out. You can have them write the summary still in paragraph form based on the 2-4 guiding questions, or you can simply have them answer the guiding questions. If your students need more scaffolding, you can also provide sentence frames for them. The purpose of having students write a summary is to try to put in their own words what they just saw and heard on the screen. It is easy to copy notes and then say "oh yeah, I got this. That made sense." It is a whole new level for them to watch the video and then have to condense the information into a comprehensible summary, using their own words. I am pushing students to be using math vocabulary in their summaries. In certain instances, I make them highlight all of the math vocabulary that is used in the summary (minimum of three words per summary). I may even have them define those vocabulary words in their own phrasing in the "Answer" portion of their WSQ in class. I wish I kept up with this better, but I didn't. Definitely something I would change to make it a consistent part of the "S" portion. Students have to come up with a question about something from the video. Sometimes this is a question about something they didn't quite get, but more often than not it is a question they have to come up with that (1) someone else might have or (2) is an important piece about the concept. Questions cannot be answered with a simple yes/no. Students will be asked to re-write their question if this is the case. See the "Algebra 1" section of my Week 3 Reflection for some details on this. All questions must have a written answer after them. This is done in class in a variety of different ways. Sometimes I have the students write the answers to their own questions and sometimes I have them trade notebooks and write the answer down in their partner's notebook. Either way, students are given the opportunity to ask the question, discuss the question, and make sure to get the right answer. I really try to push my students (mainly Math Analysis at this point) to as HOTter questions (Higher Order Thinking) that move up Bloom's Taxonomy from basic recall and understanding to application, analysis, synthesis, and evaluation. They are getting better at it, but I still often see those very basic recall or comprehension questions. When I see those, I ask them follow-up questions and probe deeper, and then have them write the answers to all of those follow-up questions as well. With probing, we can turn most of their "non-HOT" questions into "HOTter" ones. The question can be a confusion, clarification, discussion, or example question. A couple of months after this post was written, I began having students submit their WSQs on a Google Form so I could actually see the questions before they came to class... such a valuable tool for me as a teacher!! You can do so much with the questions in class if you actually have them before the kids walk in! The WSQ model seems like a simple concept - and it really is - but it was hugely transformative in my flipped classroom and allowed me to begin answering what I now call the “5 questions every flipped classroom teacher must answer” (see the five purposes image to the left). There’s more that goes into answer these questions than just the WSQ (which will be coming in future posts this year), but it is the starting point and foundation. 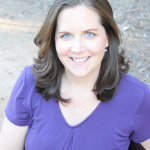 Crystal Kirch taught high school math in Southern California for seven years (2007-2014) and served as Department Chair from 2011-2013. She also was a member of the site Technology Committee, and was chosen as the 2012 "Educator of the Year" at her site. In 2014, Crystal transitioned to a new role as a Digital Learning Coach, working with teachers on integrating technology into their classrooms to support student learning. She loves having the opportunity to take my knowledge and experiences to help inspire and support other teachers! "My goal, both in and out of the classroom, is to daily, weekly, monthly, and yearly improve as an educator and bring students to levels of success in all areas of life, not just mathematics. I hope to inspire those students who have just gone through the motions to truly take control of their learning and realize that anything is possible if they set their mind to it and are willing to put forth the time, effort, and hard work required to succeed. I want to make math both meaningful and memorable to my students. 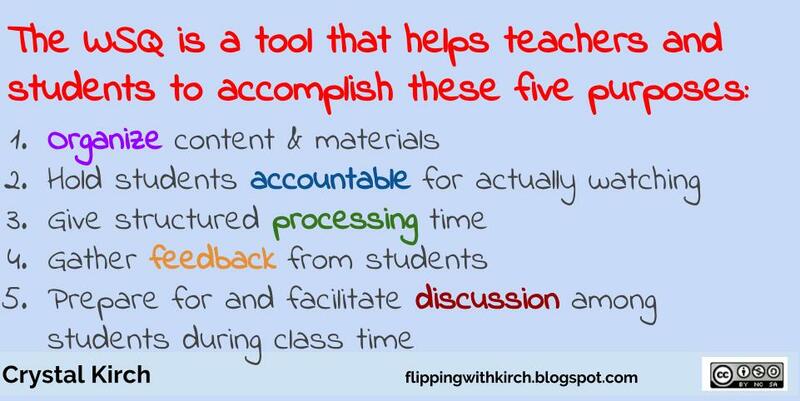 I have flipped my classes to make class time more enjoyable, engaging, and effective for my students." 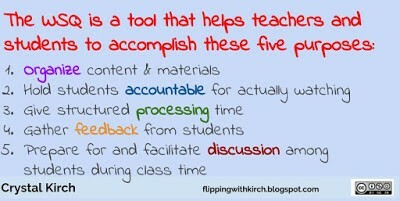 Find Crystal online at flippingwithkirch.blogspot.com, where she shares lots of flipped learning reflections and resources. 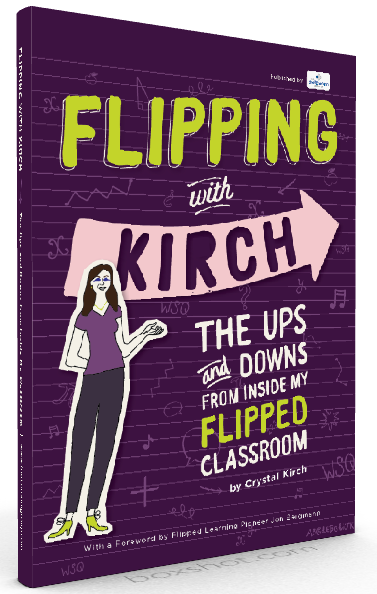 In 2016, Crystal published a book about her experiences with flipped learning: Flipping with Kirch: The Ups and Downs from Inside my Flipped Classroom.